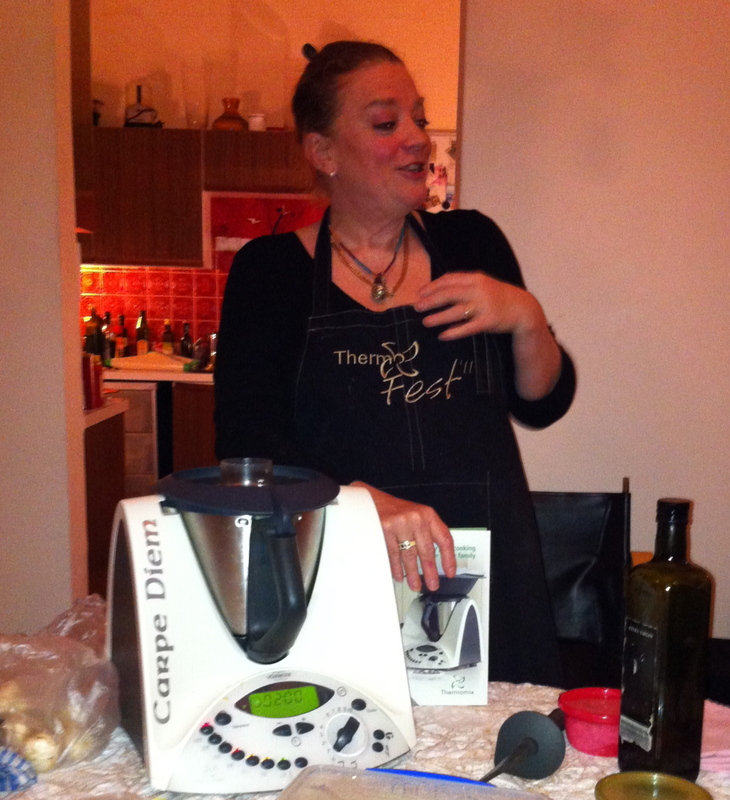 A bunch of us asked ourselves if we could concoct our own restaurant quality degustation and our questioning led us to the Thermomix. Trust the Germans to come up with an electrical kitchen appliance that makes at least 30 others redundant! 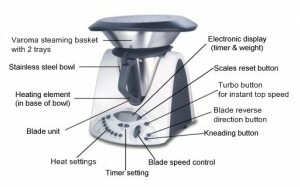 The Thermomix is a gadget invented back in the 60s that performs a mind boggling array of functions. Consultant Lynette MacDonald brought one over and showed us how it grinds whole wheat into flour, kneads dough, peels garlic, grates parmesan, weighs food, steams and cooks within seconds and washes itself clean with leftover eggshells. It also makes cosmetics, but that’s another story. The only thing this little beauty doesn’t do is bake, make toast and deep fry so you’ll need an oven, a kitchen sink … and Lynette (they don’t let you operate these things without thorough training). Professional chefs are in awe of this compact machine and usually assign it for a single task such making perfect Hollandaise sauce, or sorbets in seconds. Hygiene conscious Indian cooks are particularly enamored of it because unlike plastic which tends to scratch and catch food, the jug/bowl is made of hospital grade stainless steel. And there’s no doubt that its time saving capabilities make it supremely energy efficient. But what about the simple joy of slow cooking and making food with love? The prep with friends around the kitchen table? The aroma that wafts from your pot as the lamb shanks stew for five hours? This, it seems, will soon be a thing of the past. 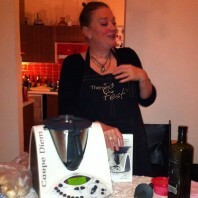 In the meantime Lynette’s got her work cut out for her spruiking the Thermomix. And she’s got a special deal going for this month only – interest free for 9 months. If we were seriously in the food business rather than simply gastronauts, we’d jump at it! The future is here.